Stanford was educated at Palmer School and Ranelagh School, Bracknell. He studied at St. Martin's School of Art between 1949 - 1951 where he was taught to carve by the Basque sculptor José Alberdi and he then obtained his Fine Art Degree from the University of Reading in 1955 studying sculpture under A. C. Carter. 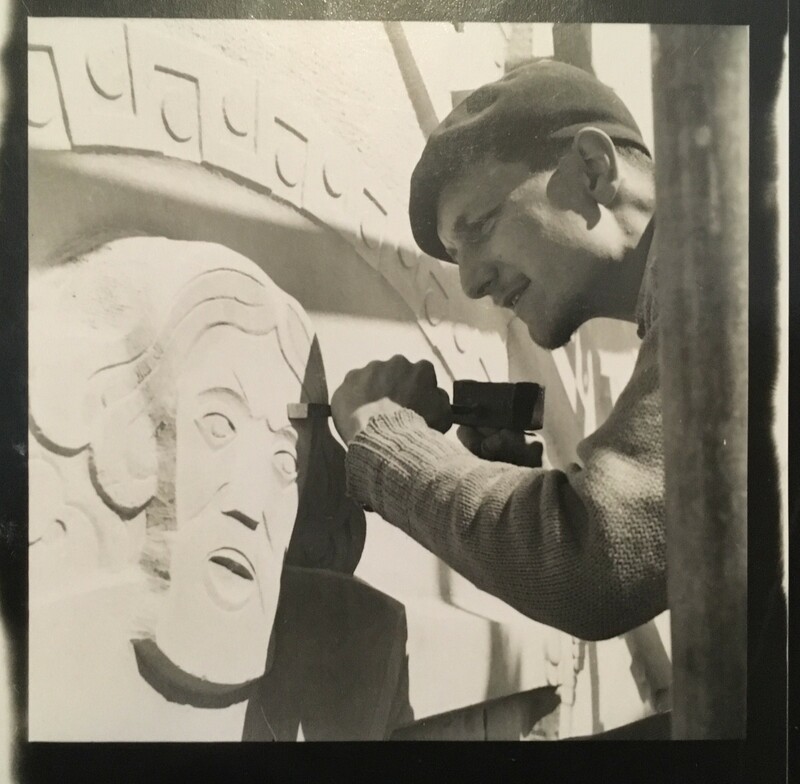 It was whilst studying at Reading that he was introduced to Eric Kennington by Professor Betts and he began working as his carving assistant in 1953 and continued to work with him until Kennington's death in 1960. Called up for National Service in 1955, Stanford was assigned to carve a regimental badge for a detachment of the R.E.M.E. in a stone panel for the camp gates. When on leave, Stanford continued to work in Kennington's studio and it was there that he carved his first major work in Portland stone - 'Mother and Child' which was exhibited at the Royal Academy in 1958. In 1959 he worked as Kennington's assistant on the huge stone relief to be set on the wall of the Watt Building of the Engineering Department of Glasgow University. Kennington was by this time in poor health and Stanford had to assume during his fifteen months in Glasgow in 1959-60 more and more responsibility for the project, eventually by himself bringing the great relief to completion after Kennington's death in early 1960. Between 1961 and 1967 he was a part-time lecturer at Berkshire College of Art and from 1968 to 1989 he was Keeper of Art at Reading Museum and Art Gallery. He has undertaken many public and private sculpture commissions throughtout the UK, most notably the Spanish Civil War Memorial in Reading and the Millenium Cross in Devizes. A direct carver almost exclusively in stone, Stanford is perhaps the last surviving link with the great direct carving revival in Britain during the twentieth century and his work should be understood in the great figurative tradition of Frank Dobson, Eric Gill and Eric Kennington. Influenced by Greek mythology his work has remained robustly figurative, although the influence of Henri Laurens and Paris School Cubism can be seen in many of his carvings. He has exhibited widely including at the Royal Academy and with the London Group and the Artists International Association. His work is represented in public collections throughout Britain and he was elected an Associate of The Royal Society of British Sculptors in 1994.